There are many reasons to choose a used vs. new vehicle when shopping around Westport, and a used Mercedes-Benz SUV offers a beautiful luxury interior and quality for a great price. 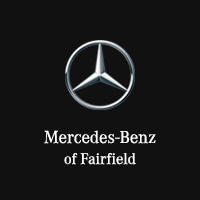 Explore our used Mercedes-Benz SUV models at Mercedes-Benz of Fairfield to find your next dream car. Priced to sell in order to make room for more incoming trades so call to check availability! NEW ARRIVAL!! CLEAN CARFAX!! Navigation, Rearview Camera, Lighting Package, Blind Spot Assist, Lane Keep Assist, Appearance Package, Accessory Chrome Package,Parktronic, Heated Steering Wheel,Trailer hitch, and Much More!! Priced to sell in order to make room for more incoming trades so call to check availability! Also check our reviews on-line, our testimonials prove we strive to provide the best or nothing. Air Conditioning, Climate Control, Dual Zone Climate Control, Cruise Control, Tinted Windows, Power Steering, Power Windows, Power Mirrors, Leather Steering Wheel, Leather Shifter, Power Passenger Seat, Memory Seat Position, Roof Rack, Wood Trim, Tachometer, Digital Info Center, Homelink System, Tilt Steering Wheel, Telescoping Steering Wheel, Steering Wheel Radio Controls, Sunroof, Moonroof, Driver Airbag, Passenger Airbag, Side Airbags, Keyless Entry, Security System, ABS Brakes, Traction Control, Dynamic Stability, Rear Defogger, Fog Lights, Intermittent Wipers, AM/FM, CD Player, CD Changer, 8 Speakers, DVD-Audio, Premium audio system: COMAND®, Weather band radio, Automatic temperature control, Power driver seat, Auto-leveling suspension, Four wheel independent suspension, 4-Wheel Disc Brakes, Anti-whiplash front head restraints, Child-Seat-Sensing Airbag, Dual front impact airbags, Dual front side impact airbags, Emergency communication system: mbrace®2, Front anti-roll bar, Knee airbag, Low tire pressure warning, Occupant sensing airbag, Overhead airbag, Power adjustable front head restraints, Rear anti-roll bar, Rear side impact airbag, Power Liftgate, Brake assist, Delay-off headlights, Fully automatic headlights, Bodyside moldings, Bumpers: body-color, Heated door mirrors, Power door mirrors, Spoiler, Turn signal indicator mirrors, Compass, Driver door bin, Driver vanity mirror, Front reading lights, Genuine wood console insert, Genuine wood dashboard insert, Genuine wood door panel insert, Illuminated entry, Outside temperature display, Overhead console, Passenger vanity mirror, Rear reading lights, Rear seat center armrest, Telescoping steering wheel, 3rd row seats: split-bench, Front Bucket Seats, Heated Front Bucket Seats, Heated front seats, MB-Tex Upholstery, Split folding rear seat, Front Center Armrest with Storage, Passenger door bin, 19 x 8.5J Twin 5-Spoke Wheels, Rain sensing wipers, Rear window wiper, 3.46 Axle Ratio 12v Power Outlet, 3rd Row Seating, Aux. Audio Input, Bluetooth®, Center Console, Child Proof Door Locks, Chrome Exhaust Tips, Cup Holders, Front Heated Seats, Overhead Console, Power Lift Gate, Rear Spoiler, Rear Spoiler, Rear Wipers, Rear-Side Airbags, Remote Fuel Door, Remote Trunk Lid, Reverse Camera, Roll Stability Control, Side Curtain Airbags, Tire Pressure Monitor, Vanity Mirrors -NEW ARRIVAL!! CLEAN CARFAX!! Navigation, Rearview Camera, Lighting Package, Blind Spot Assist, Lane Keep Assist, Appearance Package, Accessory Chrome Package,Parktronic, Heated Steering Wheel,Trailer hitch, and Much More!! CARFAX One-Owner. Clean CARFAX. CARFAX One-Owner. Clean CARFAX. Certified. Mercedes-Benz Certified Pre-Owned Details: * 165 Point Inspection * Vehicle History * Limited Warranty: 12 Month/Unlimited Mile beginning after new car warranty expires or from certified purchase date * Warranty Deductible: $0 * Includes Trip Interruption Reimbursement and 7 days/500 miles Exchange Privilege * Transferable Warranty * Roadside Assistance Odometer is 11697 miles below market average! 24/32 City/Highway MPG Reviews: * Sporty handling and performance from base model; stunning performance from AMG® version; ample safety features. Source: Edmunds * Broad range of engine choices; quiet, upscale and well-built interior with a roomy backseat; long list of standard safety and technology features. Source: Edmunds Air Conditioning, Climate Control, Dual Zone Climate Control, Cruise Control, Power Steering, Power Windows, Power Mirrors, Leather Steering Wheel, Power Drivers Seat, Power Passenger Seat, Memory Seat Position, Roof Rack, Clock, Tachometer, Digital Info Center, Tilt Steering Wheel, Telescoping Steering Wheel, Steering Wheel Radio Controls, Driver Airbag, Passenger Airbag, Side Airbags, Keyless Entry, Security System, ABS Brakes, Traction Control, Dynamic Stability, Rear Defogger, Fog Lights, Intermittent Wipers, AM/FM, CD Player, Anti-Theft, Alloy Wheels, 4.60 Axle Ratio, MB-Tex Upholstery, Radio: Audio 20 CD with Garmin Navigation Pre-Wiring, 4-Wheel Disc Brakes, Front Bucket Seats, Front Center Armrest, Power Liftgate, Spoiler, Automatic temperature control, Brake assist, Bumpers: body-color, Delay-off headlights, Driver door bin, Driver vanity mirror, Dual front impact airbags, Dual front side impact airbags, Emergency communication system, Four wheel independent suspension, Front anti-roll bar, Front reading lights, Fully automatic headlights, Heated door mirrors, Illuminated entry, Knee airbag, Low tire pressure warning, Occupant sensing airbag, Outside temperature display, Overhead airbag, Overhead console, Passenger door bin, Passenger vanity mirror, Power door mirrors, Power driver seat, Radio data system, Rain sensing wipers, Rear anti-roll bar, Rear reading lights, Rear seat center armrest, Split folding rear seat, Telescoping steering wheel, Turn signal indicator mirrors, Weather band radio, Child-Seat-Sensing Airbag, 8 Speakers, Compressor: intercooled turbo, Premium audio system: COMAND® Aux. Audio Input, Bluetooth®, Carpeted Floor Mats, Center Arm Rest, Child Proof Door Locks, Daytime Running Lights, Heated Mirrors, Overhead Console, Power Lift Gate, Rear Fog Lamps, Rear Spoiler, Rear Spoiler, Remote Trunk Lid, Roll Stability Control, Side Curtain Airbags, Tire Pressure Monitor, Vanity Mirrors -CARFAX One-Owner. Clean CARFAX. CLEAN CARFAX!! Original MSRP $41,250 Blind Spot, Keyless Go, Heated Seats, Apple Carplay/Android Auto, and More!! We offer the best value in Connecticut, check our prices to our equipment and our competition! Now priced to sell so call to check availability. LEASING our previous loaners is also an available option!! Air Conditioning, Climate Control, Dual Zone Climate Control, Cruise Control, Tinted Windows, Power Steering, Power Windows, Power Mirrors, Leather Steering Wheel, Power Drivers Seat, Power Passenger Seat, Memory Seat Position, Roof Rack, Clock, Tachometer, Digital Info Center, Tilt Steering Wheel, Telescoping Steering Wheel, Steering Wheel Radio Controls, Driver Airbag, Passenger Airbag, Side Airbags, Keyless Entry, Security System, ABS Brakes, Traction Control, Dynamic Stability, Rear Defogger, Fog Lights, Intermittent Wipers, AM/FM, CD Player, Anti-Theft, Alloy Wheels, Axle Ratio: 4.60, MB-Tex Upholstery, Radio: Audio 20 CD with Garmin Navigation Pre-Wiring, 4-Wheel Disc Brakes, Front Bucket Seats, Front Center Armrest, Power Liftgate, Spoiler, Automatic temperature control, Brake assist, Bumpers: body-color, Delay-off headlights, Driver door bin, Driver vanity mirror, Dual front impact airbags, Dual front side impact airbags, Emergency communication system, Four wheel independent suspension, Front anti-roll bar, Front reading lights, Fully automatic headlights, Heated door mirrors, Illuminated entry, Knee airbag, Low tire pressure warning, Occupant sensing airbag, Outside temperature display, Overhead airbag, Overhead console, Passenger door bin, Passenger vanity mirror, Power door mirrors, Power driver seat, Radio data system, Rain sensing wipers, Rear anti-roll bar, Rear reading lights, Rear seat center armrest, Split folding rear seat, Telescoping steering wheel, Turn signal indicator mirrors, Weather band radio, Front beverage holders, Child-Seat-Sensing Airbag, 8 Speakers, Premium audio system: COMAND®, Exterior Parking Camera Rear Aux. Audio Input, Bluetooth®, Carpeted Floor Mats, Center Arm Rest, Child Proof Door Locks, Daytime Running Lights, Heated Mirrors, Overhead Console, Power Lift Gate, Rear Fog Lamps, Rear Spoiler, Rear Spoiler, Remote Trunk Lid, Reverse Camera, Roll Stability Control, Side Curtain Airbags, Tire Pressure Monitor, Vanity Mirrors -CLEAN CARFAX!! Original MSRP $41,250 Blind Spot, Keyless Go, Heated Seats, Apple Carplay/Android Auto, and More!! CLEAN CARFAX** Original MSRP $40,750, Blind Spot, Keyless Go, Heated Seats, Apple Carplay/Android Auto, and More!! We offer the best value in Connecticut, check our prices to our equipment and our competition! Now is priced to sell so call to check availability. LEASING our previous loaners is also an available option!! Air Conditioning, Climate Control, Dual Zone Climate Control, Cruise Control, Tinted Windows, Power Steering, Power Windows, Power Mirrors, Leather Steering Wheel, Power Drivers Seat, Power Passenger Seat, Memory Seat Position, Roof Rack, Clock, Tachometer, Digital Info Center, Tilt Steering Wheel, Telescoping Steering Wheel, Steering Wheel Radio Controls, Driver Airbag, Passenger Airbag, Side Airbags, Keyless Entry, Security System, ABS Brakes, Traction Control, Dynamic Stability, Rear Defogger, Fog Lights, Intermittent Wipers, AM/FM, CD Player, Anti-Theft, Alloy Wheels, Axle Ratio: 4.60, MB-Tex Upholstery, Radio: Audio 20 CD with Garmin Navigation Pre-Wiring, 4-Wheel Disc Brakes, Front Bucket Seats, Front Center Armrest, Power Liftgate, Spoiler, Automatic temperature control, Brake assist, Bumpers: body-color, Delay-off headlights, Driver door bin, Driver vanity mirror, Dual front impact airbags, Dual front side impact airbags, Emergency communication system, Four wheel independent suspension, Front anti-roll bar, Front reading lights, Fully automatic headlights, Heated door mirrors, Illuminated entry, Knee airbag, Low tire pressure warning, Occupant sensing airbag, Outside temperature display, Overhead airbag, Overhead console, Passenger door bin, Passenger vanity mirror, Power door mirrors, Power driver seat, Radio data system, Rain sensing wipers, Rear anti-roll bar, Rear reading lights, Rear seat center armrest, Split folding rear seat, Telescoping steering wheel, Turn signal indicator mirrors, Weather band radio, Front beverage holders, Child-Seat-Sensing Airbag, 8 Speakers, Premium audio system: COMAND®, Exterior Parking Camera Rear Aux. Audio Input, Bluetooth®, Carpeted Floor Mats, Center Arm Rest, Child Proof Door Locks, Daytime Running Lights, Heated Mirrors, Overhead Console, Power Lift Gate, Rear Fog Lamps, Rear Spoiler, Rear Spoiler, Remote Trunk Lid, Reverse Camera, Roll Stability Control, Side Curtain Airbags, Tire Pressure Monitor, Vanity Mirrors -CLEAN CARFAX** Original MSRP $40,750, Blind Spot, Keyless Go, Heated Seats, Apple Carplay/Android Auto, and More!! CLEAN CARFAX!! Original MSRP $40,950, Blind Spot, Keyless Go, Heated Seats, Apple Carplay/Android Auto, and More!! We offer the best value in Connecticut, check our prices to our equipment and our competition! Now priced to sell so call to check availability. LEASING our previous loaners is also an available option!! Air Conditioning, Climate Control, Dual Zone Climate Control, Cruise Control, Tinted Windows, Power Steering, Power Windows, Power Mirrors, Leather Steering Wheel, Power Drivers Seat, Power Passenger Seat, Memory Seat Position, Roof Rack, Clock, Tachometer, Digital Info Center, Tilt Steering Wheel, Telescoping Steering Wheel, Steering Wheel Radio Controls, Driver Airbag, Passenger Airbag, Side Airbags, Keyless Entry, Security System, ABS Brakes, Traction Control, Dynamic Stability, Rear Defogger, Fog Lights, Intermittent Wipers, AM/FM, CD Player, Anti-Theft, Alloy Wheels, Axle Ratio: 4.60, MB-Tex Upholstery, Radio: Audio 20 CD with Garmin Navigation Pre-Wiring, 4-Wheel Disc Brakes, Front Bucket Seats, Front Center Armrest, Power Liftgate, Spoiler, Automatic temperature control, Brake assist, Bumpers: body-color, Delay-off headlights, Driver door bin, Driver vanity mirror, Dual front impact airbags, Dual front side impact airbags, Emergency communication system, Four wheel independent suspension, Front anti-roll bar, Front reading lights, Fully automatic headlights, Heated door mirrors, Illuminated entry, Knee airbag, Low tire pressure warning, Occupant sensing airbag, Outside temperature display, Overhead airbag, Overhead console, Passenger door bin, Passenger vanity mirror, Power door mirrors, Power driver seat, Radio data system, Rain sensing wipers, Rear anti-roll bar, Rear reading lights, Rear seat center armrest, Split folding rear seat, Telescoping steering wheel, Turn signal indicator mirrors, Weather band radio, Front beverage holders, Child-Seat-Sensing Airbag, 8 Speakers, Premium audio system: COMAND®, Exterior Parking Camera Rear Aux. Audio Input, Bluetooth®, Carpeted Floor Mats, Center Arm Rest, Child Proof Door Locks, Daytime Running Lights, Heated Mirrors, Overhead Console, Power Lift Gate, Rear Fog Lamps, Rear Spoiler, Rear Spoiler, Remote Trunk Lid, Reverse Camera, Roll Stability Control, Side Curtain Airbags, Tire Pressure Monitor, Vanity Mirrors -CLEAN CARFAX!! Original MSRP $40,950, Blind Spot, Keyless Go, Heated Seats, Apple Carplay/Android Auto, and More!! CLEAN CARFAX** Original MSRP $40,625, Blind Spot, Keyless Go, Heated Seats, Apple Carplay/Android Auto, and More!! We offer the best value in Connecticut, check our prices to our equipment and our competition! Now priced to sell so call to check availability. LEASING our previous loaners is also an available option!! Air Conditioning, Climate Control, Dual Zone Climate Control, Cruise Control, Tinted Windows, Power Steering, Power Windows, Power Mirrors, Leather Steering Wheel, Power Drivers Seat, Power Passenger Seat, Memory Seat Position, Roof Rack, Clock, Tachometer, Digital Info Center, Tilt Steering Wheel, Telescoping Steering Wheel, Steering Wheel Radio Controls, Driver Airbag, Passenger Airbag, Side Airbags, Keyless Entry, Security System, ABS Brakes, Traction Control, Dynamic Stability, Rear Defogger, Fog Lights, Intermittent Wipers, AM/FM, CD Player, Anti-Theft, Alloy Wheels, Axle Ratio: 4.60, MB-Tex Upholstery, Radio: Audio 20 CD with Garmin Navigation Pre-Wiring, 4-Wheel Disc Brakes, Front Bucket Seats, Front Center Armrest, Power Liftgate, Spoiler, Automatic temperature control, Brake assist, Bumpers: body-color, Delay-off headlights, Driver door bin, Driver vanity mirror, Dual front impact airbags, Dual front side impact airbags, Emergency communication system, Four wheel independent suspension, Front anti-roll bar, Front reading lights, Fully automatic headlights, Heated door mirrors, Illuminated entry, Knee airbag, Low tire pressure warning, Occupant sensing airbag, Outside temperature display, Overhead airbag, Overhead console, Passenger door bin, Passenger vanity mirror, Power door mirrors, Power driver seat, Radio data system, Rain sensing wipers, Rear anti-roll bar, Rear reading lights, Rear seat center armrest, Split folding rear seat, Telescoping steering wheel, Turn signal indicator mirrors, Weather band radio, Front beverage holders, Child-Seat-Sensing Airbag, 8 Speakers, Premium audio system: COMAND®, Exterior Parking Camera Rear Aux. Audio Input, Bluetooth®, Carpeted Floor Mats, Center Arm Rest, Child Proof Door Locks, Daytime Running Lights, Heated Mirrors, Overhead Console, Power Lift Gate, Rear Fog Lamps, Rear Spoiler, Rear Spoiler, Remote Trunk Lid, Reverse Camera, Roll Stability Control, Side Curtain Airbags, Tire Pressure Monitor, Vanity Mirrors -CLEAN CARFAX** Original MSRP $40,625, Blind Spot, Keyless Go, Heated Seats, Apple Carplay/Android Auto, and More!! ONE OWNER!! CLEAN CARFAX!! **CERTIFIED PRE OWNED** Navigation, Rearview Camera, Blind Spot Assist, Panorama Sunroof, Heated Seats and Much More!! Unlimited Mileage Warranty*** Certified 162 Point Inspection*** Rigorous inspection by factory- certified technicians and a thorough check of the title and service history, including a Carfax vehicle history report. Limited Warranty: 1 year (begins when the remainder of the new vehicle coverage from original purchase ends), UNLIMITED mileage. 24-hour roadside assistance, trip interruption services, and trip planning services. Eligibility Age (Years) / Mileage: 6 model years / < 75,000 miles Air Conditioning, Climate Control, Dual Zone Climate Control, Cruise Control, Tinted Windows, Power Steering, Power Windows, Power Mirrors, Leather Steering Wheel, Leather Shifter, Power Drivers Seat, Power Passenger Seat, Memory Seat Position, Roof Rack, Clock, Tachometer, Digital Info Center, Tilt Steering Wheel, Telescoping Steering Wheel, Steering Wheel Radio Controls, Driver Airbag, Passenger Airbag, Side Airbags, Keyless Entry, Security System, ABS Brakes, Traction Control, Dynamic Stability, Rear Defogger, Fog Lights, Intermittent Wipers, AM/FM, CD Player, Anti-Theft, Alloy Wheels, TBD Axle Ratio, Front Bucket Seats, MB-Tex Upholstery, Radio: Audio 20 with Single CD/DVD, 4-Wheel Disc Brakes, 6 Speakers, Front Center Armrest, Power Liftgate, Spoiler, Anti-whiplash front head restraints, Auto-dimming door mirrors, Automatic temperature control, Brake assist, Bumpers: body-color, DVD-Audio, Delay-off headlights, Driver door bin, Driver vanity mirror, Dual front impact airbags, Dual front side impact airbags, Four wheel independent suspension, Front anti-roll bar, Front reading lights, Fully automatic headlights, Genuine wood console insert, Genuine wood dashboard insert, Genuine wood door panel insert, Heated door mirrors, Illuminated entry, Knee airbag, Low tire pressure warning, Occupant sensing airbag, Outside temperature display, Overhead airbag, Passenger door bin, Passenger vanity mirror, Power adjustable front head restraints, Power door mirrors, Power driver seat, Radio data system, Rain sensing wipers, Rear anti-roll bar, Rear seat center armrest, Rear window wiper, Split folding rear seat, Steering wheel memory, Telescoping steering wheel, Turn signal indicator mirrors, Weather band radio, Auto-dimming Rear-View mirror, Child-Seat-Sensing Airbag, Premium audio system: COMAND®, Exterior Parking Camera Rear, Emergency communication system: mbrace®2 Bluetooth®, Carpeted Floor Mats, Center Arm Rest, Child Proof Door Locks, Daytime Running Lights, Heated Mirrors, Power Lift Gate, Rear Fog Lamps, Rear Spoiler, Rear Spoiler, Rear Wipers, Remote Trunk Lid, Reverse Camera, Roll Stability Control, Side Curtain Airbags, Tire Pressure Monitor, Vanity Mirrors -ONE OWNER!! CLEAN CARFAX!! **CERTIFIED PRE OWNED** Navigation, Rearview Camera, Blind Spot Assist, Panorama Sunroof, Heated Seats and Much More!! Certified** 162 Point Inspection, Service Records Available, Limited Warranty: 1 year (begins when the remainder of the new vehicle coverage from original purchase ends), UNLIMITED mileage. 24-hour roadside assistance, trip interruption services, and trip planning services. ONE OWNER!! CLEAN CARFAX!! **CERTIFIED PRE-OWNED** Keyless GO, Satellite Radio, Blind Spot Assist, Rearview Camera, Panorama Sunroof, Heated Seats, and Much More!! Unlimited Mileage Warranty*** Certified 162 Point Inspection*** Rigorous inspection by factory- certified technicians and a thorough check of the title and service history, including a Carfax vehicle history report. Limited Warranty: 1 year (begins when the remainder of the new vehicle coverage from original purchase ends), UNLIMITED mileage. 24-hour roadside assistance, trip interruption services, and trip planning services. Eligibility Age (Years) / Mileage: 6 model years / < 75,000 miles Air Conditioning, Climate Control, Dual Zone Climate Control, Cruise Control, Tinted Windows, Power Steering, Power Windows, Power Mirrors, Leather Steering Wheel, Leather Shifter, Power Drivers Seat, Power Passenger Seat, Memory Seat Position, Roof Rack, Clock, Tachometer, Digital Info Center, Tilt Steering Wheel, Telescoping Steering Wheel, Steering Wheel Radio Controls, Driver Airbag, Passenger Airbag, Side Airbags, Keyless Entry, Security System, ABS Brakes, Traction Control, Dynamic Stability, Rear Defogger, Fog Lights, Intermittent Wipers, AM/FM, CD Player, Anti-Theft, Alloy Wheels, TBD Axle Ratio, Front Bucket Seats, MB-Tex Upholstery, Radio: Audio 20 with Single CD/DVD, 4-Wheel Disc Brakes, 6 Speakers, Front Center Armrest, Power Liftgate, Spoiler, Anti-whiplash front head restraints, Auto-dimming door mirrors, Automatic temperature control, Brake assist, Bumpers: body-color, DVD-Audio, Delay-off headlights, Driver door bin, Driver vanity mirror, Dual front impact airbags, Dual front side impact airbags, Four wheel independent suspension, Front anti-roll bar, Front reading lights, Fully automatic headlights, Genuine wood console insert, Genuine wood dashboard insert, Genuine wood door panel insert, Heated door mirrors, Illuminated entry, Knee airbag, Low tire pressure warning, Occupant sensing airbag, Outside temperature display, Overhead airbag, Passenger door bin, Passenger vanity mirror, Power adjustable front head restraints, Power door mirrors, Power driver seat, Radio data system, Rain sensing wipers, Rear anti-roll bar, Rear seat center armrest, Rear window wiper, Split folding rear seat, Steering wheel memory, Telescoping steering wheel, Turn signal indicator mirrors, Weather band radio, Auto-dimming Rear-View mirror, Child-Seat-Sensing Airbag, Premium audio system: COMAND®, Exterior Parking Camera Rear, Emergency communication system: mbrace®2 Bluetooth®, Carpeted Floor Mats, Center Arm Rest, Child Proof Door Locks, Daytime Running Lights, Heated Mirrors, Power Lift Gate, Rear Fog Lamps, Rear Spoiler, Rear Spoiler, Rear Wipers, Remote Trunk Lid, Reverse Camera, Roll Stability Control, Side Curtain Airbags, Tire Pressure Monitor, Vanity Mirrors -ONE OWNER!! CLEAN CARFAX!! **CERTIFIED PRE-OWNED** Keyless GO, Satellite Radio, Blind Spot Assist, Rearview Camera, Panorama Sunroof, Heated Seats, and Much More!! Certified** 162 Point Inspection, Service Records Available, Limited Warranty: 1 year (begins when the remainder of the new vehicle coverage from original purchase ends), UNLIMITED mileage. ONE OWNER!! CLEAN CARFAX!! Navigation, Rearview Camera, Heated Seats, Heated Steering Wheel, Trailer Hitch, Blind Spot Assist, Burmester Surround Sound, Panorama Sunroof, and Much More!! Priced to sell in order to make room for more incoming trades so call to check availability! Also check our reviews on-line, our testimonials prove we strive to provide the best or nothing. Air Conditioning, Climate Control, Dual Zone Climate Control, Cruise Control, Tinted Windows, Power Steering, Power Windows, Power Mirrors, Leather Steering Wheel, Leather Shifter, Power Passenger Seat, Memory Seat Position, Roof Rack, Clock, Tachometer, Digital Info Center, Homelink System, Tilt Steering Wheel, Telescoping Steering Wheel, Steering Wheel Radio Controls, Driver Airbag, Passenger Airbag, Side Airbags, Keyless Entry, Security System, ABS Brakes, Traction Control, Dynamic Stability, Rear Defogger, Fog Lights, Intermittent Wipers, AM/FM, CD Player, Anti-Theft, Alloy Wheels, 3.27 Axle Ratio, MB-Tex Upholstery, Radio: Audio 20 with Single CD/DVD, Split folding rear seat, Steering wheel memory, Telescoping steering wheel, Turn signal indicator mirrors, Weather band radio, Auto-dimming Rear-View mirror, Child-Seat-Sensing Airbag, Premium audio system: COMAND®, Exterior Parking Camera Rear, Emergency communication system: mbrace®, 4-Wheel Disc Brakes, 6 Speakers, Front Bucket Seats, Front Center Armrest, Power Liftgate, Anti-whiplash front head restraints, Auto-dimming door mirrors, Automatic temperature control, Brake assist, Bumpers: body-color, Delay-off headlights, Driver door bin, Driver vanity mirror, Dual front impact airbags, Dual front side impact airbags, Four wheel independent suspension, Front anti-roll bar, Front reading lights, Fully automatic headlights, Genuine wood console insert, Genuine wood dashboard insert, Genuine wood door panel insert, Heated door mirrors, Illuminated entry, Knee airbag, Low tire pressure warning, Occupant sensing airbag, Outside temperature display, Overhead airbag, Overhead console, Passenger door bin, Passenger vanity mirror, Power door mirrors, Power driver seat, Radio data system, Rain sensing wipers, Rear anti-roll bar, Rear reading lights, Rear seat center armrest, Rear window wiper Bluetooth®, Carpeted Floor Mats, Center Arm Rest, Child Proof Door Locks, Daytime Running Lights, Heated Mirrors, Overhead Console, Power Lift Gate, Rear Fog Lamps, Rear Wipers, Remote Trunk Lid, Reverse Camera, Roll Stability Control, Side Curtain Airbags, Tire Pressure Monitor, Vanity Mirrors -ONE OWNER!! CLEAN CARFAX!! Navigation, Rearview Camera, Heated Seats, Heated Steering Wheel, Trailer Hitch, Blind Spot Assist, Burmester Surround Sound, Panorama Sunroof, and Much More!! CLEAN CARFAX** Original MSRP $40,995, Blind Spot, Keyless Go, Heated Seats, Apple Carplay/Android Auto, and More!! We offer the best value in Connecticut, check our prices to our equipment and our competition! Now priced to sell so call to check availability. LEASING our previous loaners is also an available option!! Air Conditioning, Climate Control, Dual Zone Climate Control, Cruise Control, Tinted Windows, Power Steering, Power Windows, Power Mirrors, Leather Steering Wheel, Power Drivers Seat, Power Passenger Seat, Memory Seat Position, Roof Rack, Clock, Tachometer, Digital Info Center, Tilt Steering Wheel, Telescoping Steering Wheel, Steering Wheel Radio Controls, Driver Airbag, Passenger Airbag, Side Airbags, Keyless Entry, Security System, ABS Brakes, Traction Control, Dynamic Stability, Rear Defogger, Fog Lights, Intermittent Wipers, AM/FM, CD Player, Anti-Theft, Aluminum Wheels, Axle Ratio: 4.60, MB-Tex Upholstery, Radio: Audio System with Garmin Navigation Pre-Wiring, 8 Color Display Upgrade, 4-Way Lumbar Support, 4-Wheel Disc Brakes, Front Bucket Seats, Front Center Armrest, Power Liftgate, Spoiler, Automatic temperature control, Brake assist, Bumpers: body-color, Delay-off headlights, Driver door bin, Driver vanity mirror, Dual front impact airbags, Dual front side impact airbags, Emergency communication system, Four wheel independent suspension, Front anti-roll bar, Front reading lights, Fully automatic headlights, Heated door mirrors, Illuminated entry, Knee airbag, Low tire pressure warning, Occupant sensing airbag, Outside temperature display, Overhead airbag, Overhead console, Passenger door bin, Passenger vanity mirror, Power door mirrors, Power driver seat, Radio data system, Rain sensing wipers, Rear anti-roll bar, Rear reading lights, Rear seat center armrest, Rear window wiper, Split folding rear seat, Telescoping steering wheel, Turn signal indicator mirrors, Weather band radio, Front beverage holders, Child-Seat-Sensing Airbag, 8 Speakers, Premium audio system: COMAND®, Exterior Parking Camera Rear Bluetooth®, Carpeted Floor Mats, Center Arm Rest, Child Proof Door Locks, Daytime Running Lights, Heated Mirrors, Overhead Console, Power Lift Gate, Rear Fog Lamps, Rear Spoiler, Rear Spoiler, Rear Wipers, Remote Trunk Lid, Reverse Camera, Roll Stability Control, Side Curtain Airbags, Tire Pressure Monitor, Vanity Mirrors -CLEAN CARFAX** Original MSRP $40,995, Blind Spot, Keyless Go, Heated Seats, Apple Carplay/Android Auto, and More!! Clean CARFAX. Clean CARFAX. Odometer is 1103 miles below market average! 23/31 City/Highway MPG Air Conditioning, Climate Control, Dual Zone Climate Control, Cruise Control, Tinted Windows, Power Steering, Power Windows, Power Mirrors, Leather Steering Wheel, Power Drivers Seat, Power Passenger Seat, Memory Seat Position, Roof Rack, Clock, Tachometer, Digital Info Center, Tilt Steering Wheel, Telescoping Steering Wheel, Steering Wheel Radio Controls, Driver Airbag, Passenger Airbag, Side Airbags, Keyless Entry, Security System, ABS Brakes, Traction Control, Dynamic Stability, Rear Defogger, Fog Lights, Intermittent Wipers, AM/FM, CD Player, Anti-Theft, Aluminum Wheels, Axle Ratio: 4.60, MB-Tex Upholstery, Radio: Audio System with Garmin Navigation Pre-Wiring, 8 Color Display Upgrade, 4-Way Lumbar Support, 4-Wheel Disc Brakes, Front Bucket Seats, Front Center Armrest, Power Liftgate, Spoiler, Automatic temperature control, Brake assist, Bumpers: body-color, Delay-off headlights, Driver door bin, Driver vanity mirror, Dual front impact airbags, Dual front side impact airbags, Emergency communication system, Four wheel independent suspension, Front anti-roll bar, Front reading lights, Fully automatic headlights, Heated door mirrors, Illuminated entry, Knee airbag, Low tire pressure warning, Occupant sensing airbag, Outside temperature display, Overhead airbag, Overhead console, Passenger door bin, Passenger vanity mirror, Power door mirrors, Power driver seat, Radio data system, Rain sensing wipers, Rear anti-roll bar, Rear reading lights, Rear seat center armrest, Rear window wiper, Split folding rear seat, Telescoping steering wheel, Turn signal indicator mirrors, Weather band radio, Front beverage holders, Child-Seat-Sensing Airbag, 8 Speakers, Premium audio system: COMAND®, Exterior Parking Camera Rear Bluetooth®, Carpeted Floor Mats, Center Arm Rest, Child Proof Door Locks, Daytime Running Lights, Heated Mirrors, Overhead Console, Power Lift Gate, Rear Fog Lamps, Rear Spoiler, Rear Spoiler, Rear Wipers, Remote Trunk Lid, Reverse Camera, Roll Stability Control, Side Curtain Airbags, Tire Pressure Monitor, Vanity Mirrors -Clean CARFAX. Schedule a test drive at Mercedes-Benz of Fairfield to experience a used or Certified Pre-Owned Mercedes-Benz SUV in person, or take a look at our overview of the current SUV lineup to learn about more SUV options.